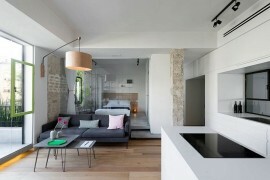 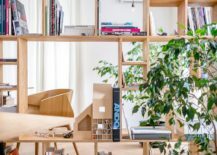 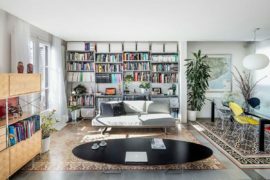 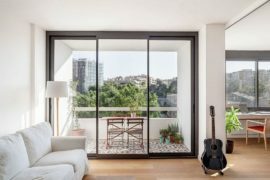 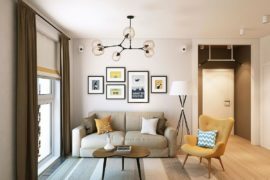 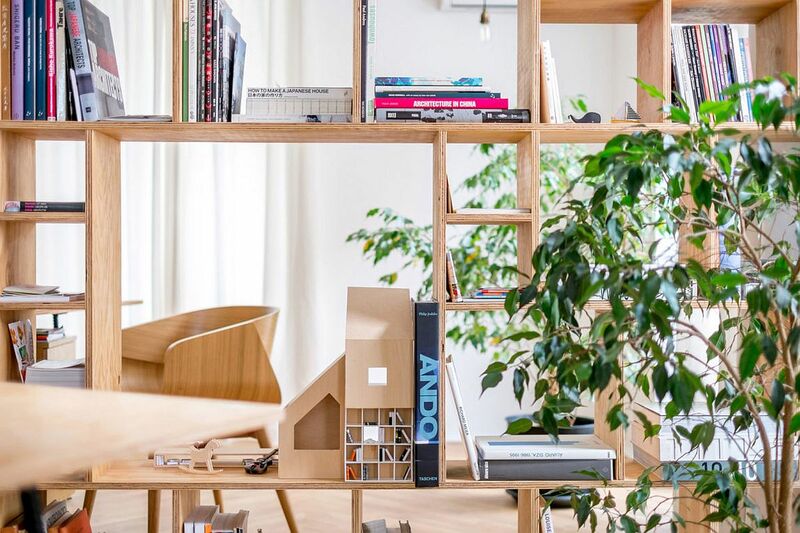 Transforming an ordinary urban apartment into a unique and space-savvy workspace, Andrey Andreev and Petya Nikolova, founders of Another Studio, showcase how all it takes is a dash of creativity and bespoke solutions to reimagine interiors. 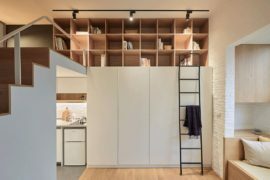 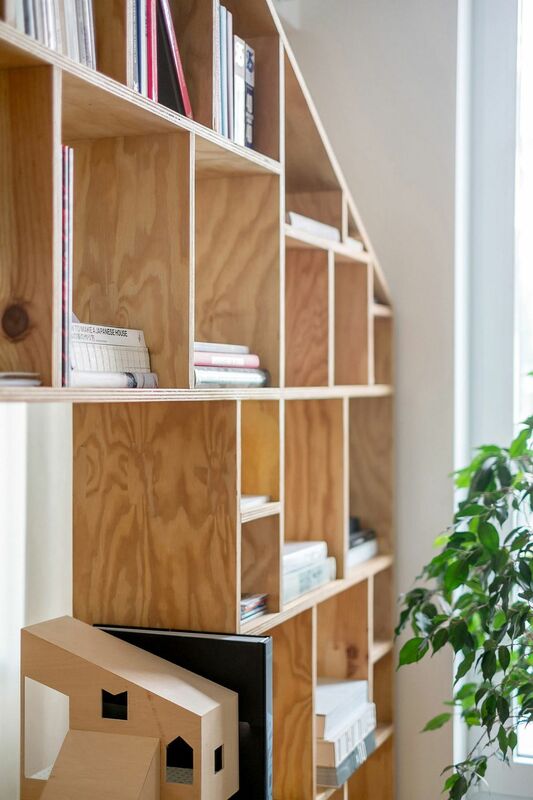 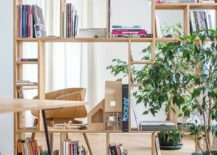 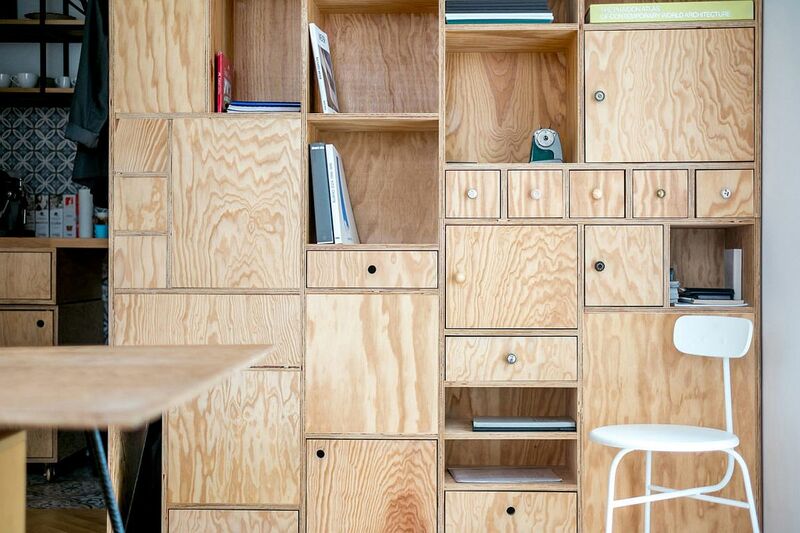 Nestled in Sofia, the new workspace relies on a series of plywood partitions that also hold shelves, cupboards and nifty cabinets to delineate space while offering a multitude of display and storage options. 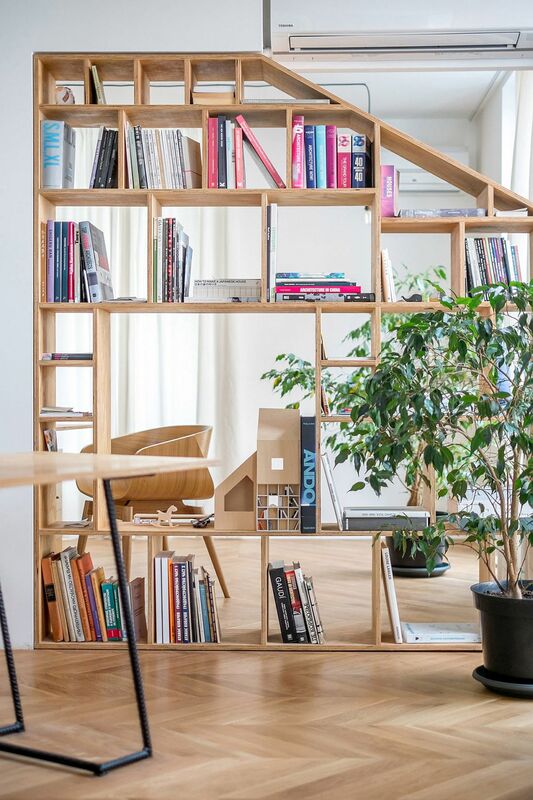 The bespoke partitions were placed by removing the existing internal walls, allowing for a more open and fluid work environment that strikes a balance between privacy and interactive zones. 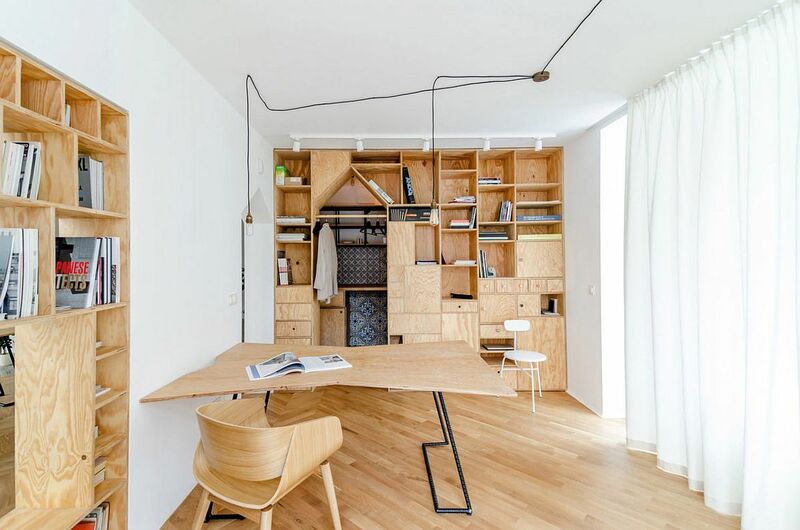 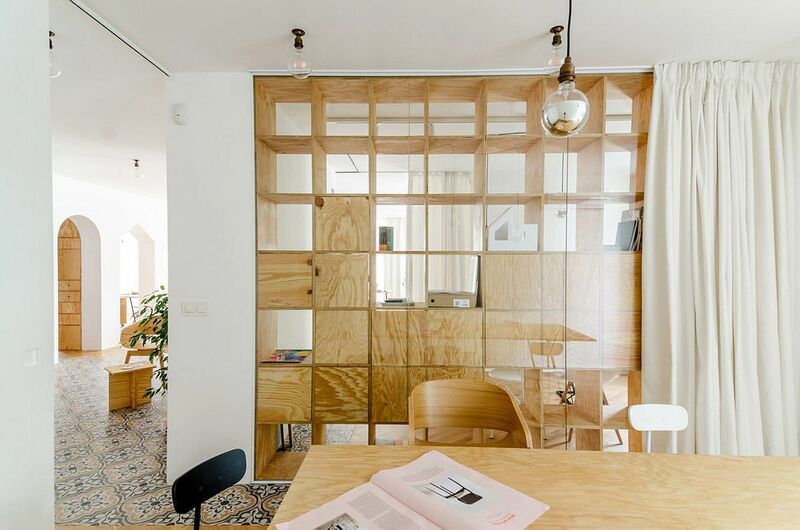 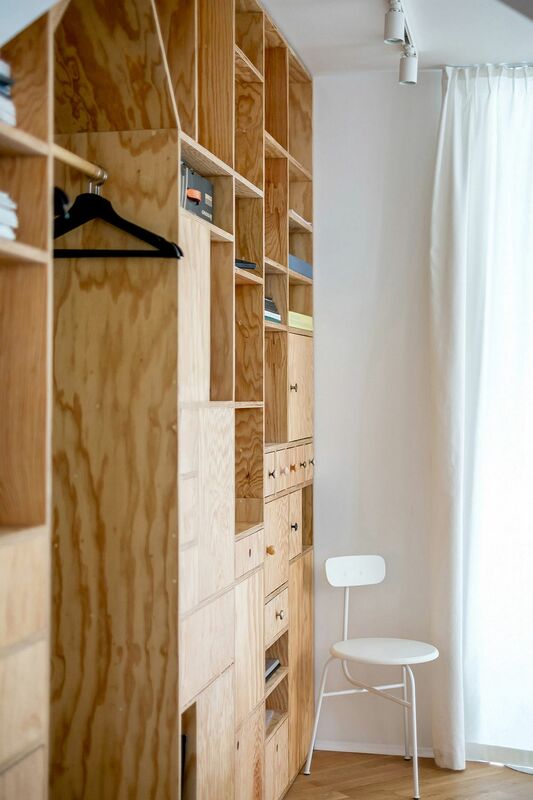 Apart from the series of plywood wall-shelves, one also notice a clever use of cotton curtains that can be moved around to instantly turn a seemingly open setting into a closed meeting room. 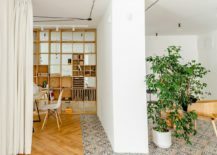 Two different work zones along with a kitchen, bathroom, foyer and balcony complete the new workspace that feels cheerful, inviting and comfortable. 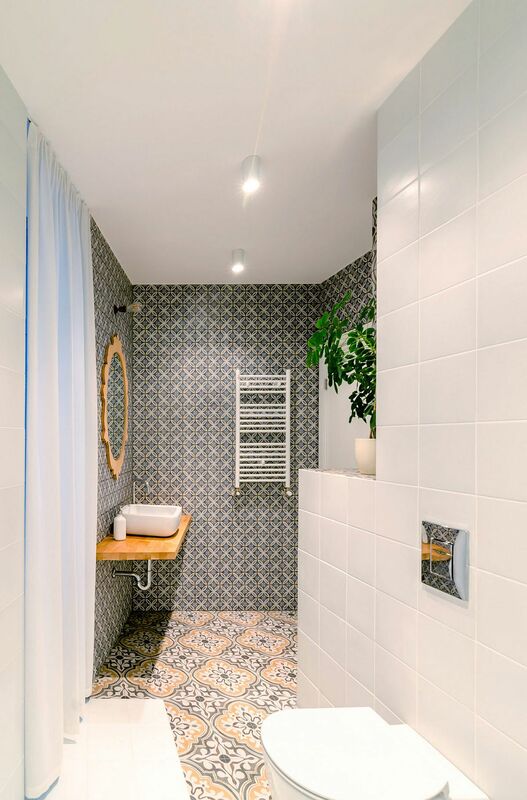 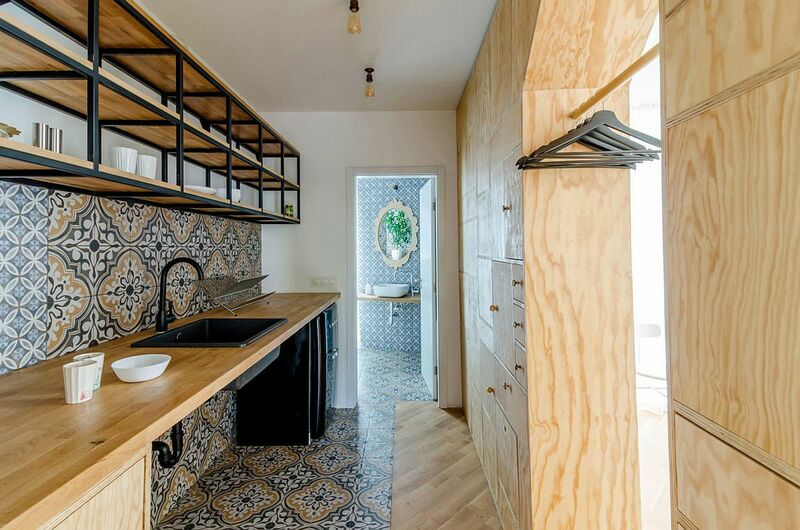 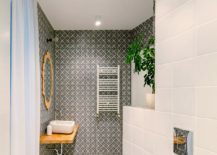 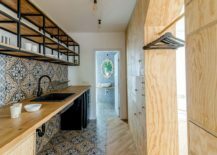 There is no room for sterile design inside this revamped apartment as wooden chevron flooring, décor in wood and beautiful tiles in kitchen and bathroom add both textural and visual contrast. 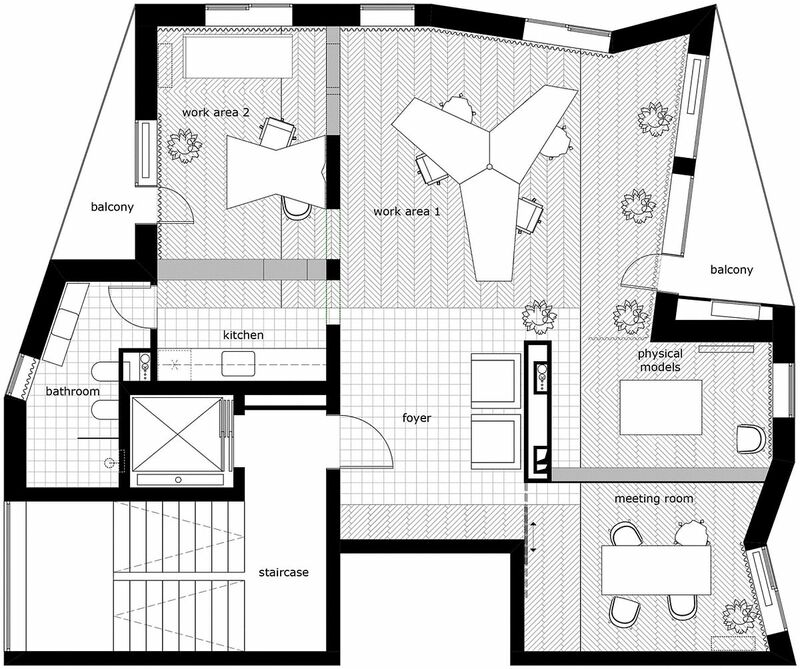 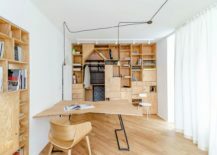 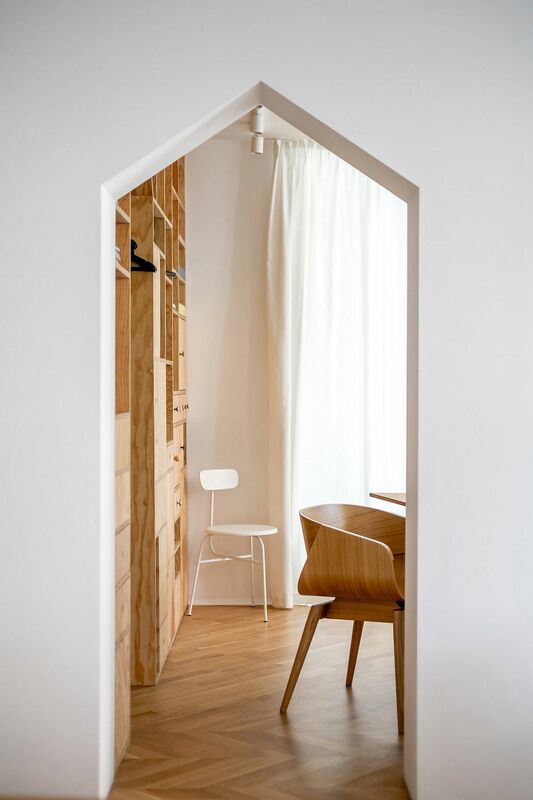 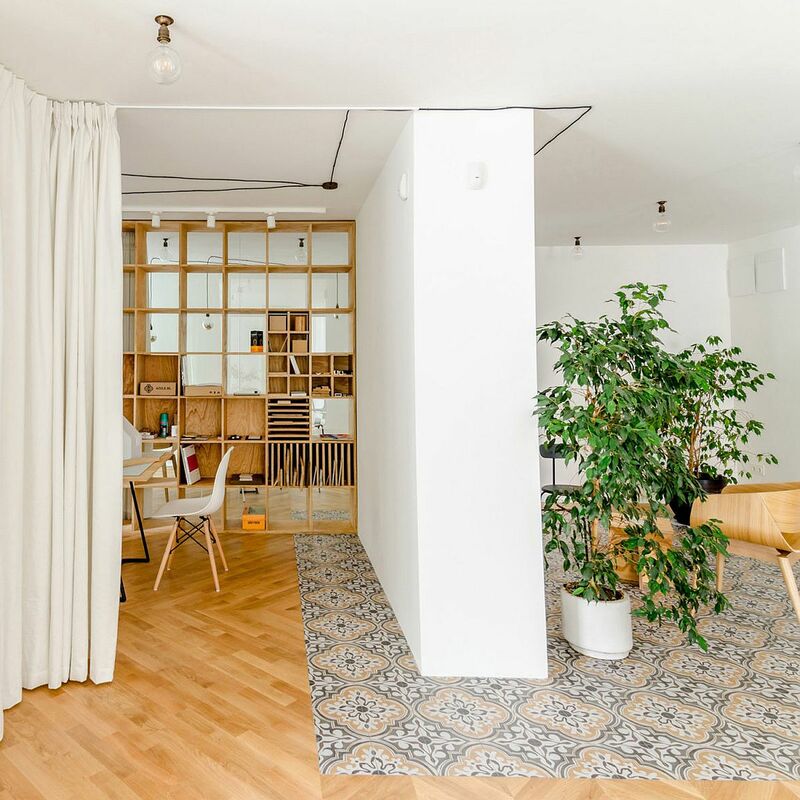 Adaptable and relaxing, the overall design of the transformed apartment-office was inspired by elements of Japanese design along with a desire to create a fluid setting that can create multiple working environments depending on changing needs. 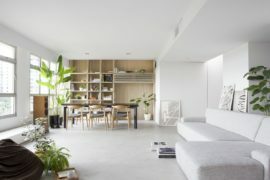 Gorgeous lighting and tall indoor plants put the finishing touches on a makeover that is truly mesmerizing.